Our classroom elf made her way back to us last week and we were so excited! 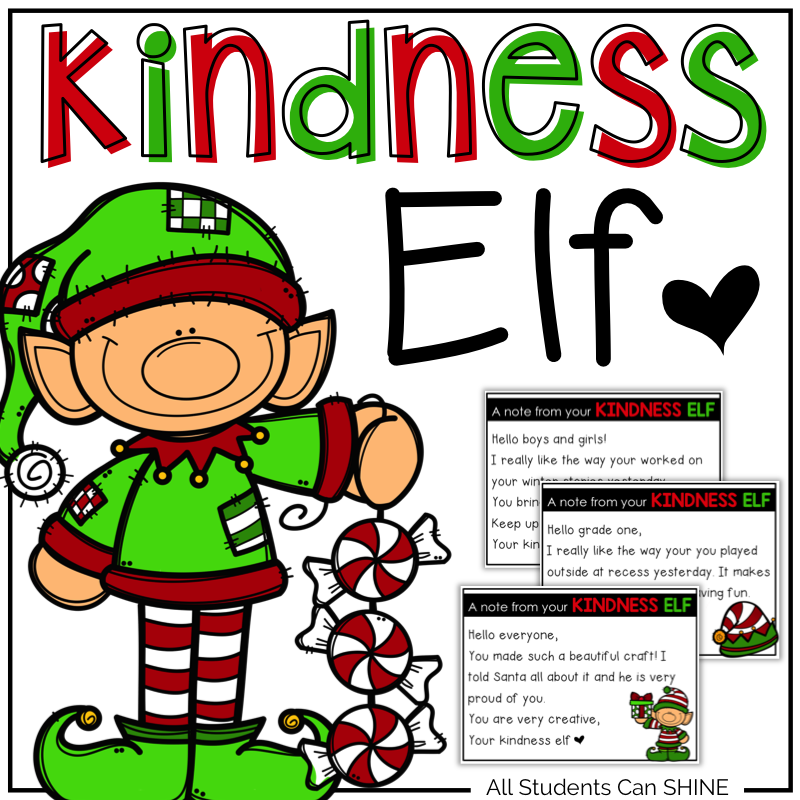 We were also very happy to read all about how she is now a kindness elf! My students are looking forward to learning all about kindness with the help of our special friend. Every morning, she will show up with a little note for us. Some days, it will be simply to congratulate us on our hard work. On other days, she will give us a small kindness act to do throughout the day. I'm VERY excited about this!! You can grab yourself a copy of these kindness notes for FREE. I also added a mini book that my students will be working on in the next couple of weeks. 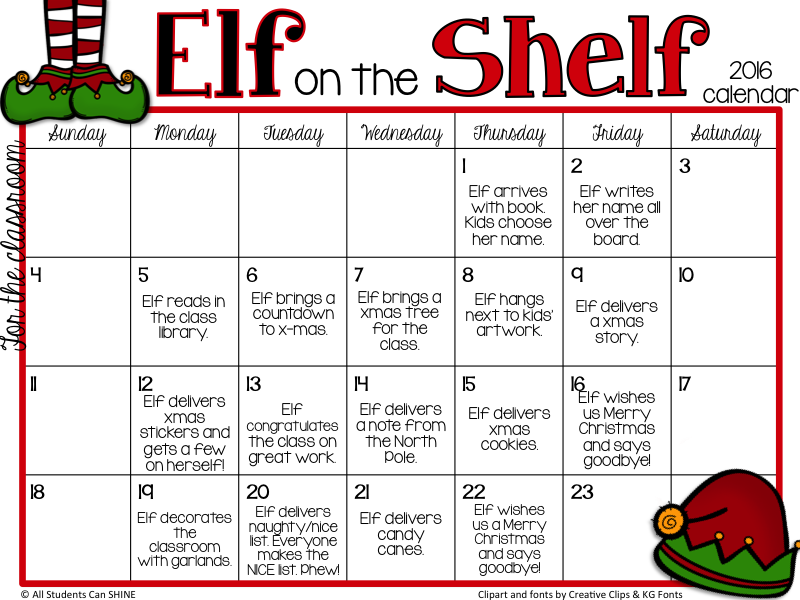 Looking for something that will help you stay organized with all your elf shenanigans? Look no more! Read all about my elf calendar and grab yourself a FREE copy HERE! December is all about spending quality time with your class. Slow down and take it all in. It goes by SO fast! Take some time to get to know your little elves before they leave for a well-deserved holiday break.